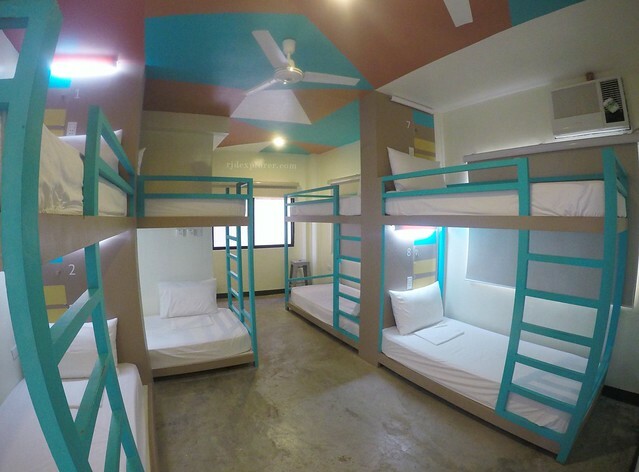 Hostels nowadays invade every part of the country with most travelers prefer it over fancy hotels especially when they planned to spend most of their time outside the accommodation, exploring the different attractions available in their destination. Also, hostel rates are far way cheaper. 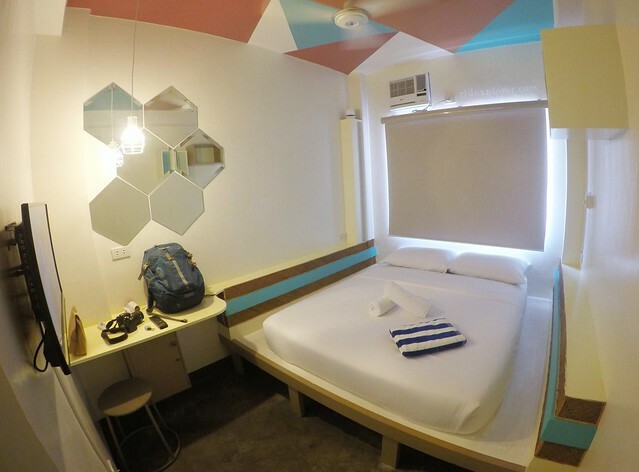 On my second visit to the famous Boracay Island, it was ecstatic to know that a hostel, available just five minutes from White Beach Station 2, provides an upscale yet affordable hostel living. I’m pertaining to Second Wind Bed, Bunk and Breakfast. I had a hard time asking locals for the place when I was searching for it because the hostel recently opened last February. I was able to locate it though since it’s just few meters from the main road. A group of travelers from Manila were preparing to leave when I arrived and since it was only 11AM, the staff at the front desk informed me that my room will be available by 1PM. Instead of waiting for the standard check-in time, I left my backpack at the front desk and walked to D Mall for lunch. After a hefty meal at Tilapia N Chips, I dropped by White Beach before heading back to the hostel. 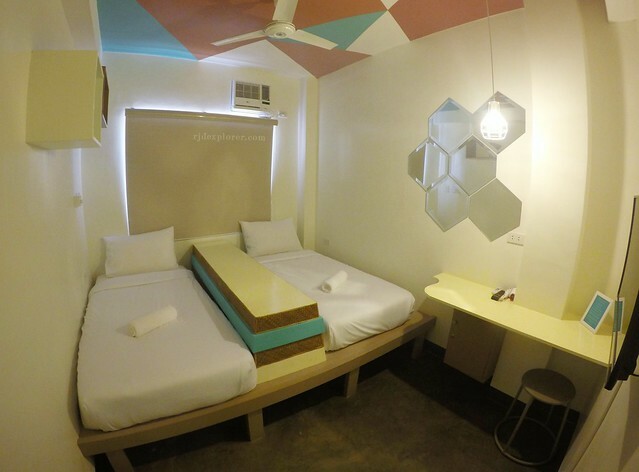 I got a Double Private Room (PHP 1495) for my first night in Second Wind BBB. 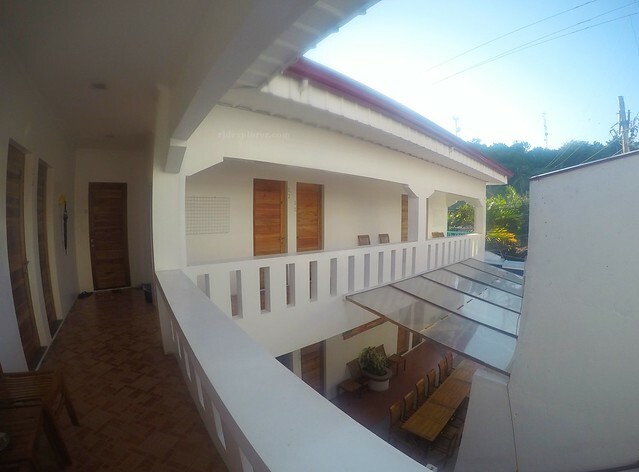 Located on the second floor, the air-conditioned Room 12 has its own toilet and bath, a queen-sized bed, and a cable-enabled television. Since it’s not a hotel, no toiletries are available but they do provide fresh bath and beach towels. 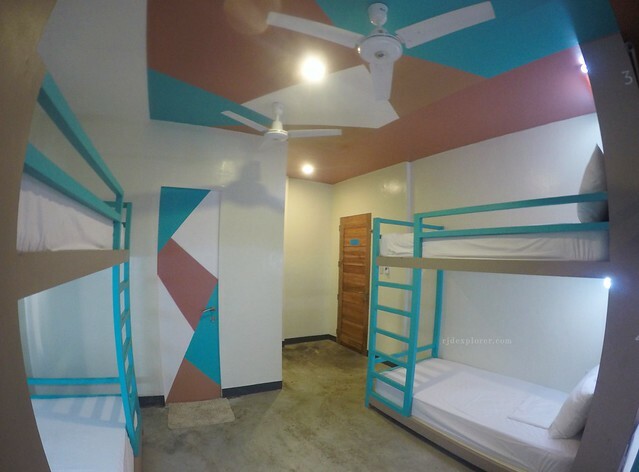 For a hostel, the private room is really impressive having a colorful abstractly painted ceiling with the ceiling fan that properly distributes the cool temperature from the AC unit. Large and hexagonal-sized mirrors make the room bright, while cabinets are available where you can place your personal stuff. 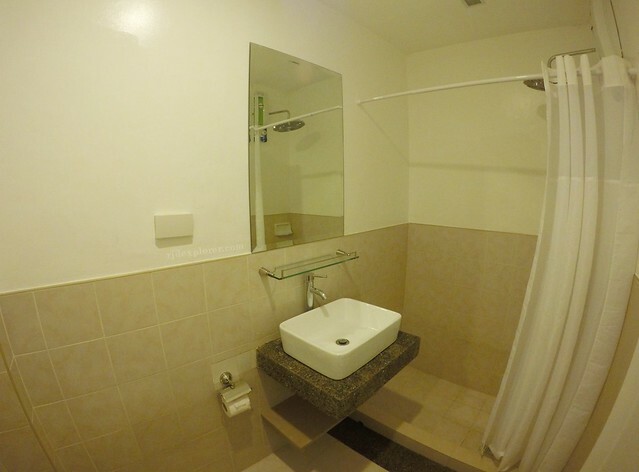 The bathroom is equipped with hot and cold shower, and the toilet has a bidet. Hair dryer was also available. I really appreciate the way they conceptualized the bed having small spaces on its sides plus the power outlets on the wall that are very accessible from it. Speaking of bed, one of the things that hindered me to leave the room on my entire visit was the very comfortable bed draped with super smooth sheets and cover. The room is indeed a great place for some breaks from the sandy shores of the island. Aside from the Double Rooms, another room type is Twin Rooms with two twin beds separated by a border and has same amenities with the double room. In total, there are 16 private rooms. In addition are two dorm rooms that can fit up to 8 persons each. The designer dorm rooms are as cozy as the private rooms still with an AC unit and ceiling fans. Travelers availing a bed on a dorm room are also provided with a locker, on the headboard of the bed, and fresh bath and beach towel. For some catching up with your readings, the bunks have installed reading lights on it. Another great thing is that each room has two shared toilet and bath. I availed a bed at PHP 480 per night. ** All rates here were part of their flash deal. The rooms are mixed dorm and I was able to share it with a girl from China, two ladies from America, two Korean guys, and a girl from UK. Some of them arrived during the day so I got the chance to exchange travel stories with them while some arrived on the wee hours of the evening. 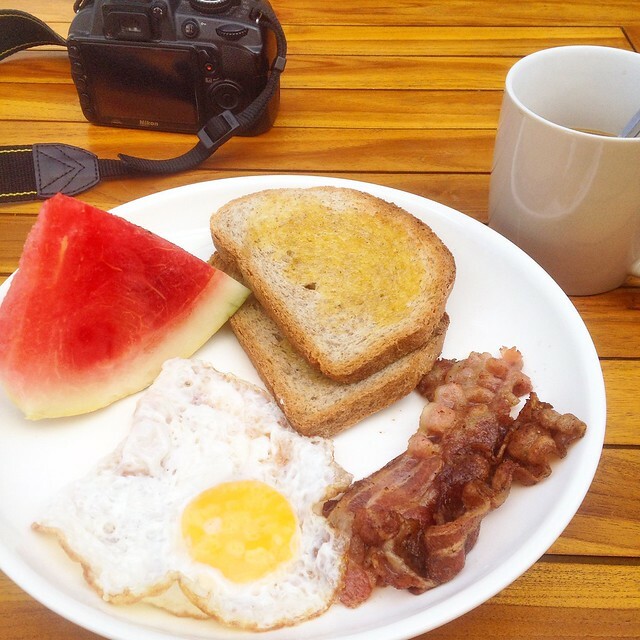 Considering the affordable rates of the hostel, it also includes free breakfast. 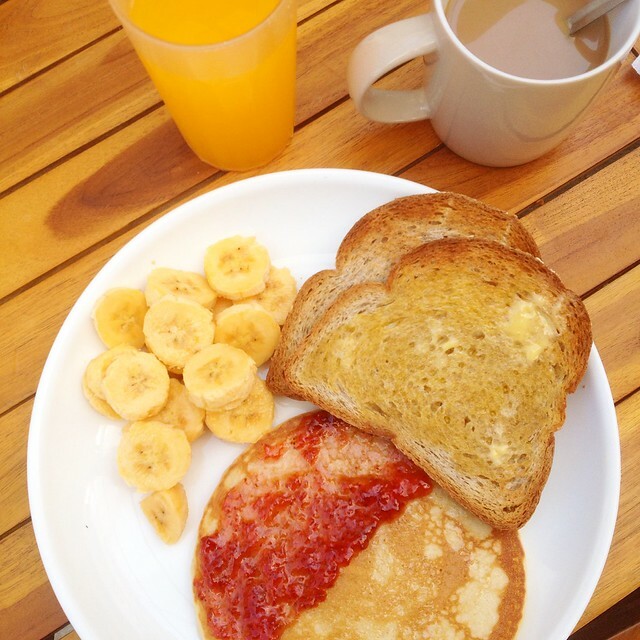 Even guests in the dorm room can have a power breakfast being served on the common area from 6AM to 10AM. The friendly staffs are the ones who cook and prepare your meal. 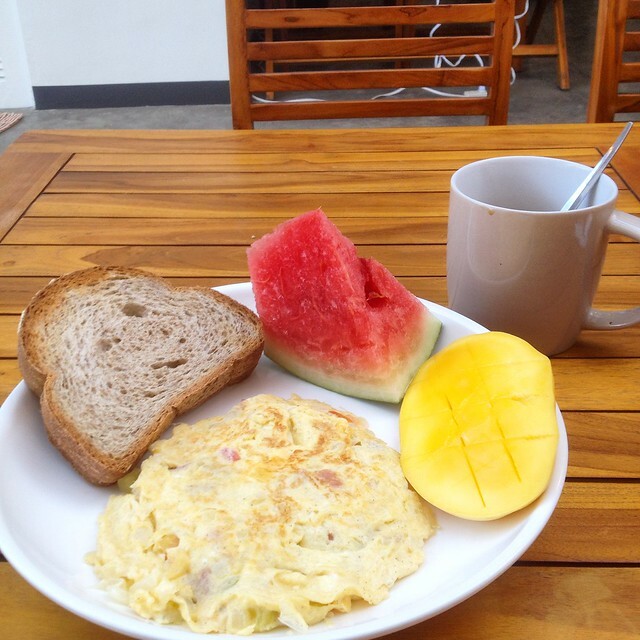 During my stay, I had nice breakfasts with toasted breads and some fruits like watermelon or mango as staples, bacon, omelet, and pancakes for varieties. Juice, coffee and tea, and mineral water are also offered in the kitchen any time of the day, for free. 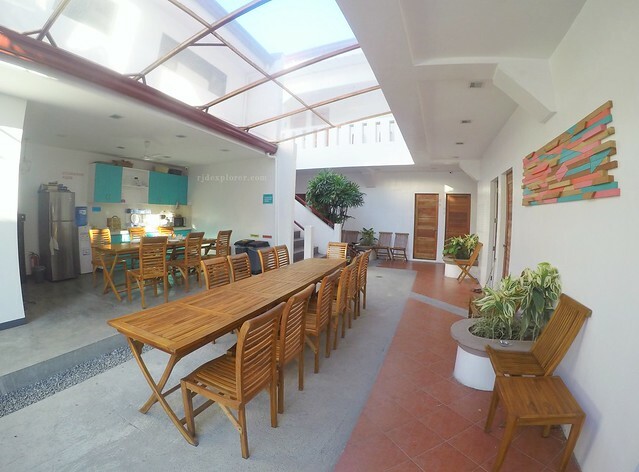 During some breaks from the pervasive heat of the sun in White Beach, the common area of the hostel served as my lounge area; watching television, browsing my social media using the free WiFi, or having a conversation with the friendly staff. It was nice to share some stories and get to know them. Some nights they gather on the common area to share a bottle or two of beer before calling it a night. Meanwhile, availing a bed or a room in #2WBBB also gives you access to amazing discounts and events on their island partners like free use of beach chairs in Tibraz Restaurant in Station 2 and discounts in Station 4 Bar and Restaurant. Just show them your cute Second Wind keychain. They could also help you or your group avail different tour and activity packages on your stay in the island. 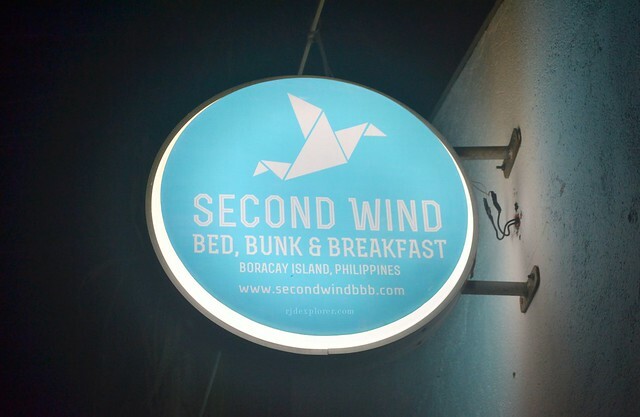 My second visit in Boracay was really memorable because of my stay in Second Wind Bed, Bunk and Breakfast as the hostel served as my comfortable abode for the three-day visit. The cool, clean, and charming rooms are really commendable and add to those were the hearty breakfasts, and the very accommodating staff.